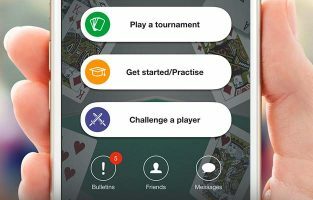 Learn bridge rules on Funbridge! 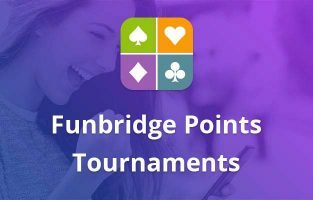 The first major event of 2018 has been the launch of Funbridge Points (awarded at the end of each federation tournament and each Funbridge Points tournament) and 5 new ranking lists that are just perfect to quickly see how you compare with the rest of the community. 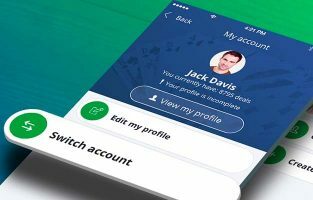 Enhancements have been made to the “My account” section of the app. Indeed, we have improved how to switch account (aimed at players who share the same device to play). Editing your profile has been made easier and automatic logout has been added. 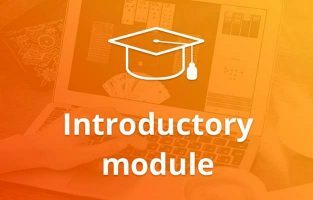 Then we have released a brand-new introductory bridge module allowing you to learn and review bridge rules and it is 100% free! It includes fun and interactive lessons, step-by-step deals with advice, deals that you play without any help, etc. We have treated the app to a makeover: simplified home page and added titles under home page buttons. The aim is to make it more intuitive, easier to understand and more user-friendly. 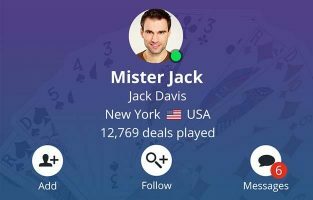 The last update of the year includes new profiles for your friends that give you an easier access to their positions in rankings, resultsand bidding conventions. And you can now enter the name of your bridge club or federation to meet other members. 2018 has been a year of partnerships with bridge federations. 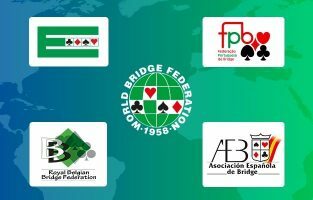 Indeed, 5 federations have decided to join Funbridge and to let us host official federation tournaments allowing their members participating in these tournaments to improve their positions in their own federation rankings. It is with great pleasure that we have welcomed the WBF, the EBL, the FPB, the AEB and the RBBF. 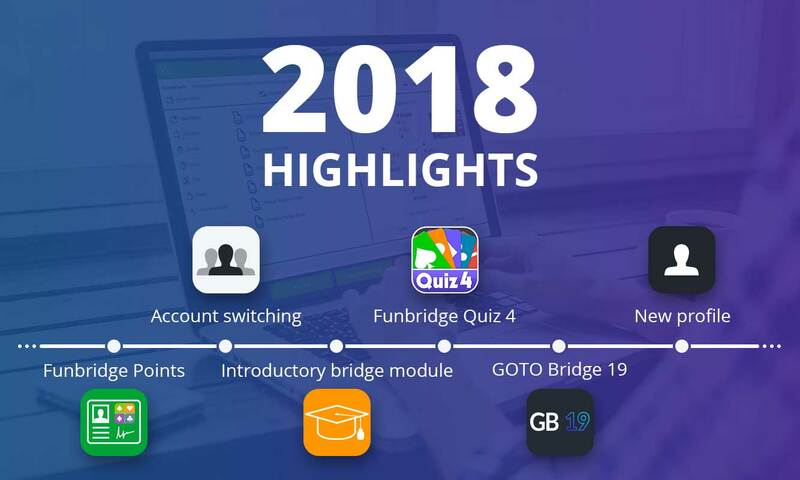 The 4th edition of Funbridge Quiz offering 500 new quiz questions on bridge became available last September. 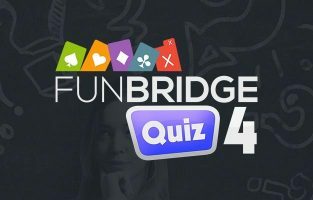 Available on smartphones and tablets, Funbridge Quiz 4 allows you to test your knowledge in many areas of the bridge game. 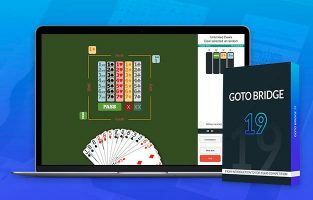 For over 20 years, the end of each year has been marked by the release of a new version of GOTO Bridge, the ideal bridge game to progress. 2018 is no exception. Among the many new features are the deal manager and the Goulash mode. In Series Tournments, how many do you have to play to secure your rating? Play Funbridge. It gets stuck and I cannot get a game played in a timely manner. I do have an unlimited play subscription but cannot play as much as Iwould like. Are you having a problem with your software. ?